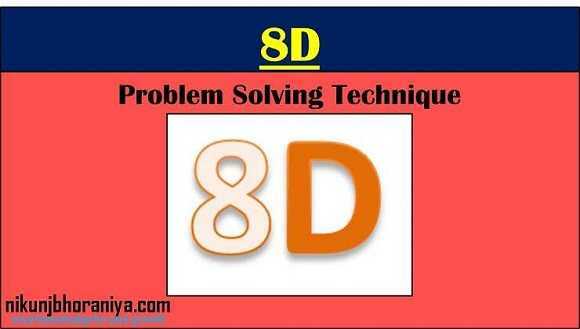 What is 8D Problem Solving Method? 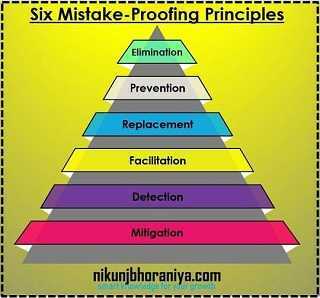 → 8D Problem Solving Method is a systematic problem-solving methodology. → It was introduced by “Ford Motor Company” in the Automotive industry. 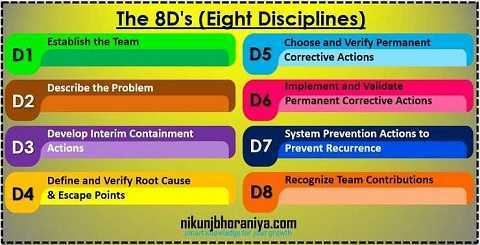 → These are 8 Disciplines or 8 Steps or 8 Do’s which must be followed for identifying and eliminating a problem in a Product, Process or Service. → Establish a small group of people with the Product, Process or Service knowledge. → Describe the internal or external problem by identifying “what is wrong with what” and detailing the problem in quantifiable terms so that we can solve the problem. → Develop a Problem Statement which represents the problem. → Develop a flowchart of the process and identify critical process steps with respect to the Problem. → Establish a high-level project plan, including milestones, project goals, and objectives. → The Problem Description defines the boundaries of a problem. 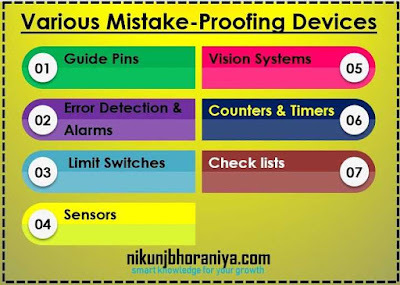 ➦ We can use the below tools to Describe the Problem. → Define, verify and implement Interim Containment Action to isolate the effects of the problem from any internal and/or external Customer until Permanent Corrective (Preventive) Action(s) are implemented. → In this stage, the root cause is identified to take permanent action to eliminate the problem. → The Escape Point is the closest point in the process where the root cause could have been found but was not. → Select the best Permanent Corrective Actions to eliminate the root cause in the process. → Validate the effectiveness of the implemented Action(s). → Monitor the effectiveness of the implemented solutions and assure that they do not cause any undesirable effects. → Communicate the plan to all relevant interested parties. → The purpose of the Prevent Recurrence is to share the knowledge, preventing problems on similar products, processes, locations or families. → Check the needing standardization have been identified and implemented? → Identify the lesson(s) learned and celebrate the success of the team.